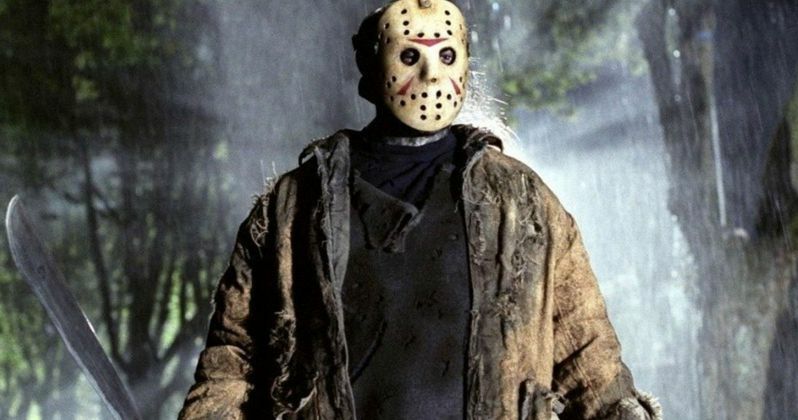 Andrew Form, the co-founder of Platinum Dunes and producer of some of the biggest horror movies over the past two decades, has revealed that he is still determined to put out another Friday the 13th. The only thing holding him back is legal issues, but as soon as the problems are resolved, the next installment in the Friday the 13th franchise should be expected. Form is responsible for producing some wildly successful and popular horror movies, with his two most recent projects being A Quiet Place and The First Purge, which releases later this week. In 2009, Form produced the reboot of Friday the 13th which, despite receiving poor critical reviews, managed to earn nearly five times its budget back. This was the most recent Friday the 13th movie to be produced, which means that we are now in the longest gap of time to ever be between Friday the 13th releases. It's quite clear that we are long overdue for another Friday the 13th, as the horrific exploits of Jason Voorhees have been missed by horror fans for nearly a decade. During the 1980s, a new Friday the 13th movie seemed to come out every year or so, and a number of audiences would be anxious for this pattern of releases to come back today. Fortunately, Andrew Form has given an update of where the franchise stands now. Here is what he had to say. "There's a lawsuit going on and the rights are a little messed up. But rest assured, we are doing everything we can to be involved with that and we wholeheartedly believe that another version, another incarnation of Friday the 13th, needs to be made and brought out to the world, and we're gonna do everything we can to do it. Every year, we look at the schedule and say, 'When's the next Friday the 13th? When can we have a movie ready?' We love Jason and we hope we can make another one." While this surely isn't the answer that horror fans wanted to hear, considering that there will still be a rather lengthy period of time before we get to see the next movie, it is still an optimistic update. At least the franchise has not been forgotten by the producers, and it's good to know that they hope to make another Friday the 13th as soon as they are allowed to. Friday the 13th is not the only franchise that Andrew Form has (or had) his hands on, but it seems to be the only series he actually wants to pursue. Form is also responsible for producing the Teenage Mutant Ninja Turtles franchise, but based on his comments, even the Turtles aren't as high of a priority for Form as Friday the 13th. Here's what he said. "Friday the 13th is the one for us, because we were so close to filming that version about a year and a half ago, and we loved the screenplay we had and we were so close on that one. I think that's the one out of everything we've done in the past, except for [Teenage Mutant Ninja] Turtles... We hope to bring another Turtles movie out. But I think Jason is the one right now for us that we'd love to get our hands on." This information reported by We Got This Covered is both good and bad news for fans of Friday the 13th. While it's unfortunate that the legal issues are holding the series back, it's good to know that the producer is still anxious to continue the franchise. Rest assured, Friday the 13th fans, you should still plan to see another movie come out in the series, but it may just be a bit of a wait.